I just realized that I have SUPER-MAGICAL-POWER!!!!!! This might sounds UNBELIEVABLE, but it did happened!!!! I can hold a spoon without holding it!!! 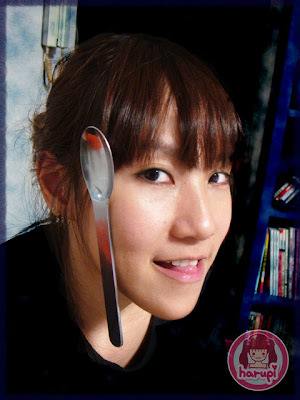 The spoon was not resting on my face, it did not dropped even at straight 90 degrees! Can you? Can you?? Can you??? We are from the School of Magic! 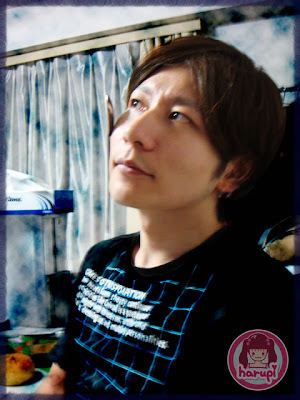 Try it out to see whether you are qualified to be recognized by the Magic World! Guess I'm one of the non-believer, though I love Harry Potter. 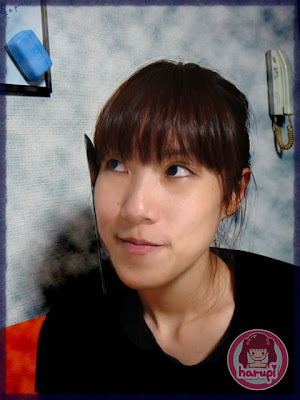 I did not believe it also when I first saw it in someone's facebook. 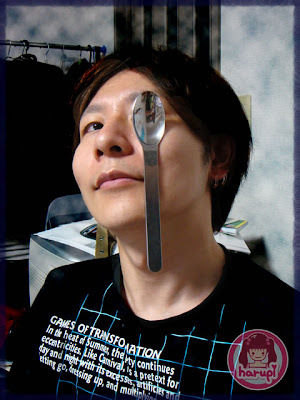 Then I searched about it and found out that it was a trick by balancing spoons on the face. Kids usually good in this trick and make it easier than adults coz kids are pure with full concentration. They focus well when it is time to play. 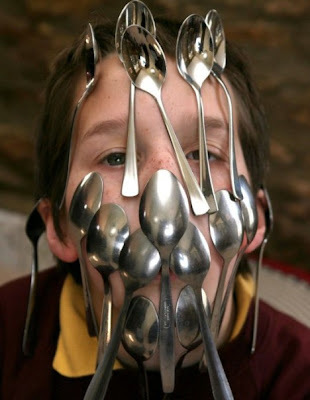 balanced 16 spoons on his face and broke the Guinness Book of World Records !!! It looks magic to me in some way. I mean, how did he managed to balance those spoons on his chin and both ears??? But yeah, it is not what-so magic-power or else. It worth a try to see if you could break the World Records too! Remember, greasy face has a higher chance! Let's Go to the ZOO ♪ GODZILLA's there!! !